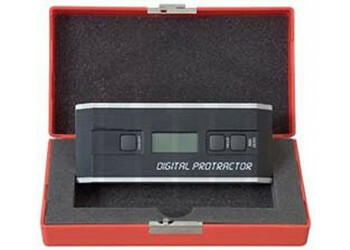 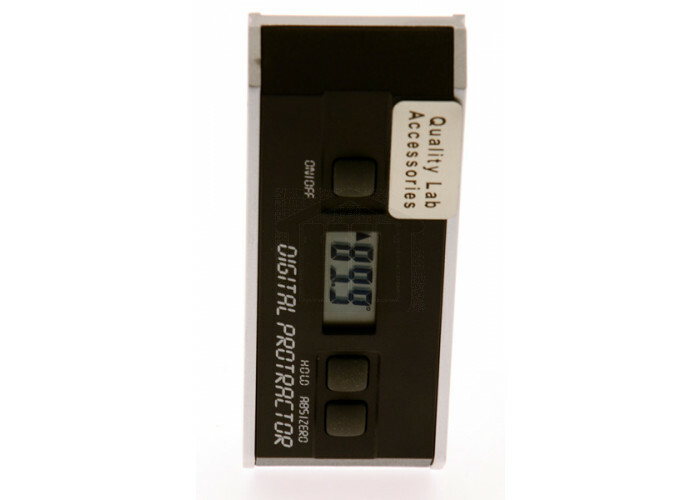 The Digital Verticality Meter provides an immediate digital reading of any angle in a full circle with 0 to 90° or 0 to -90° readings. The machined aluminium frame is rigid and light with a precise platform that allows the sensor and its microprocessor circuit to provide height accuracy throughout the entire 360° range. 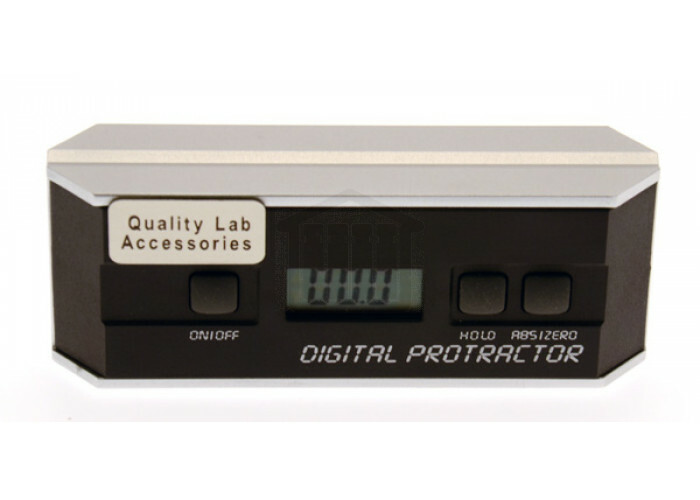 "Use an accurate digital level device to determine that the shafts are vertical in two directions 90° apart around the vertical axis while the drive unit is in the operating position"
"V" groove base allows for easy alignment on basket and paddle shafts.